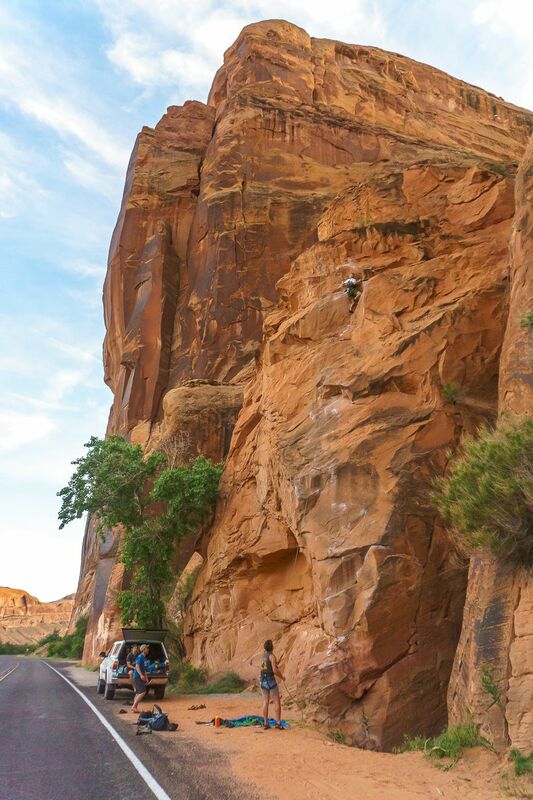 With a few days off from the real world and some new gear to test, my friends and I pack up our cars and caravan all the way from Colorado to Moab, Utah. 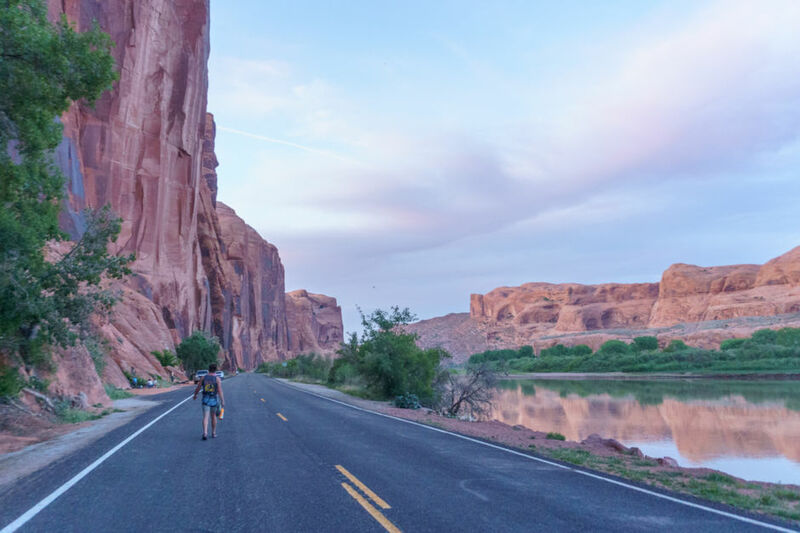 Just outside of both Arches and Canyonlands National Park, Moab is great for outdoor sports, with everything from world-renowned mountain biking to base jumping to stand up paddling boarding. 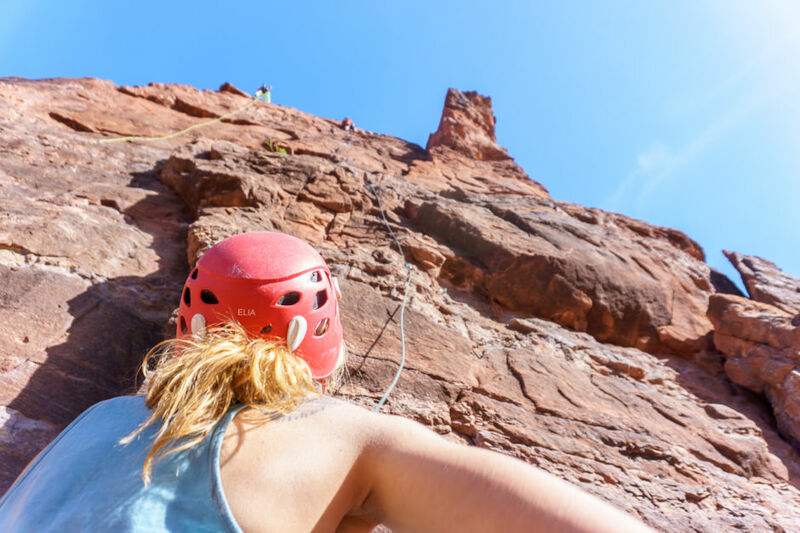 For this trip, we’re focusing on sport climbing. You won’t find total solitude here (one look at the incredible scenery and you’ll understand why it’s so popular) and midday temps can hit the nineties. Nonetheless, we bury our hands in chalk bags and get to work on some of the most incredible climbing spots in America. After getting our daily dose of caffeine, we drive a winding river to the spot recommended by our barista. It’s late morning, but, thankfully, this wall hasn’t been heated by the desert sun. As the hours pass, the heat of the day begins to envelop us all and light fills the river canyon. We’ve each got a few climbs in, but none of us are used to the heat. The rock is now fire below our hands, and we decide that these are our last climbs for now. David leads and cleans one of the routes we set up as Lindsay belays him. 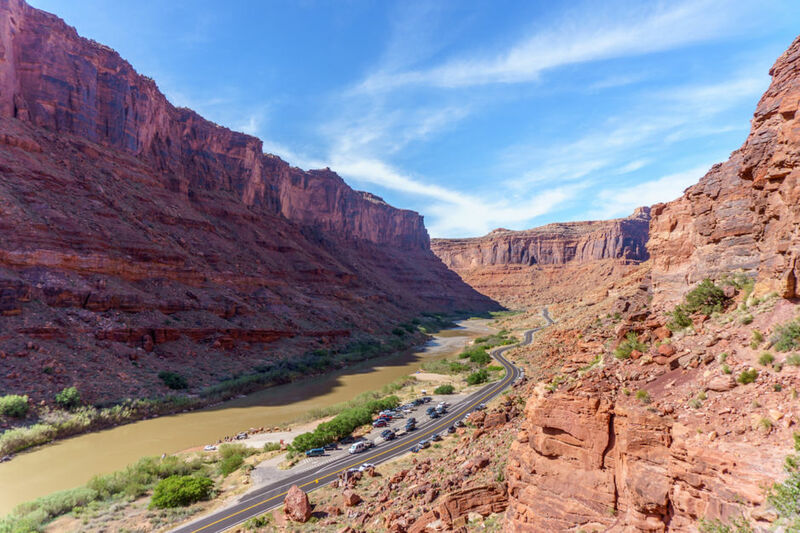 It’s crowded when we arrive in Moab, and designated campsites are sparse. We cruise over a dusty road far from town and pick a spot located in between towering red formations. 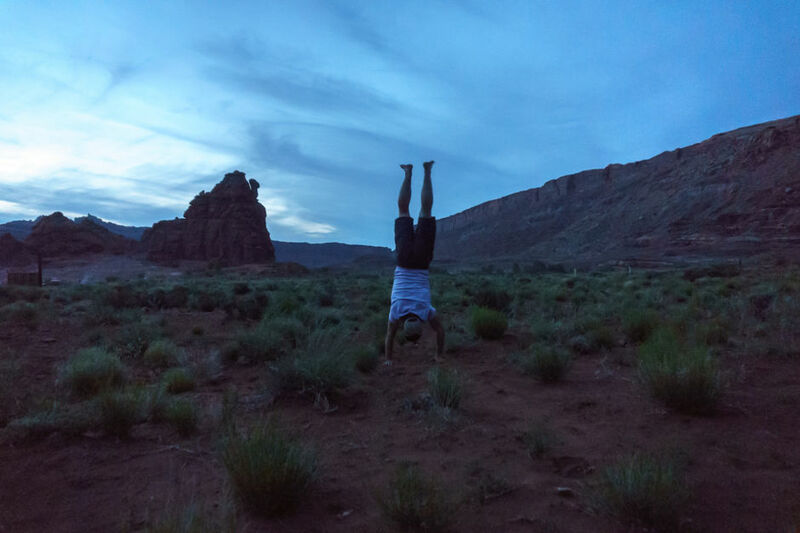 Evening shenanigans ensue -- dinner and games around the campfire and handstand contests in the red dirt. We learned our lesson from the day before, so we head out early to beat the heat. 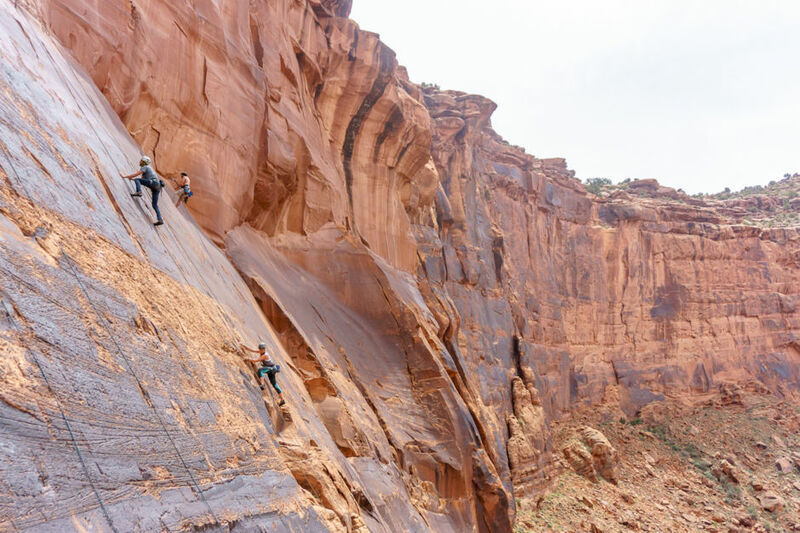 Nearby, around one of the bends flanked by enormous canyon walls, sits Ice Cream Parlor, a slabby mixed-climbing area that is draped in shade that morning. We climb here while the sun beats the back of the wall, leaving us cool and shaded for the morning. Afternoon heat quickly ensues and we break for burgers and shakes in town, followed by a quick dip in the local watering hole. After some much-deserved rest and relaxation, we head over to one of the more populated climbing areas, Wall Street. Now, in the early evening, it’s less crowded and we jump on a few slabby climbs to warm up our fingers. 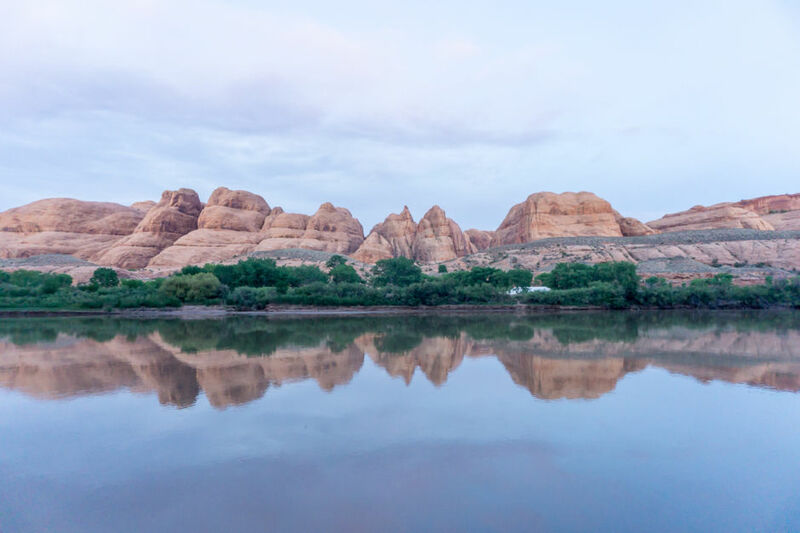 The Colorado River flows next to us as sunset paints our surrounding in shades of blue and purple. With every crimp, pinch, and jug we climb up, we are rewarded with a vaster view of this glowing landscape. Drew makes his way up Potstash (5.9), a fun climb overlooking the river. 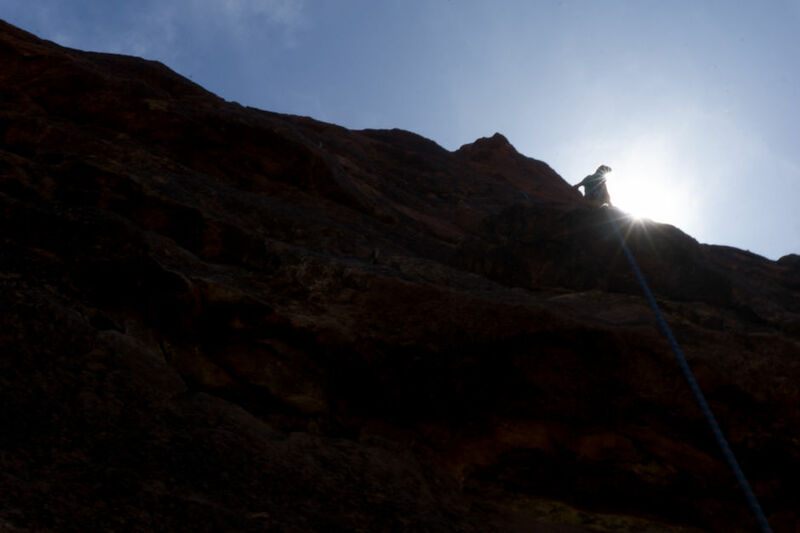 Most climbs in the Wall Street climbing area are situated along Potash Road, just outside of the town of Moab. 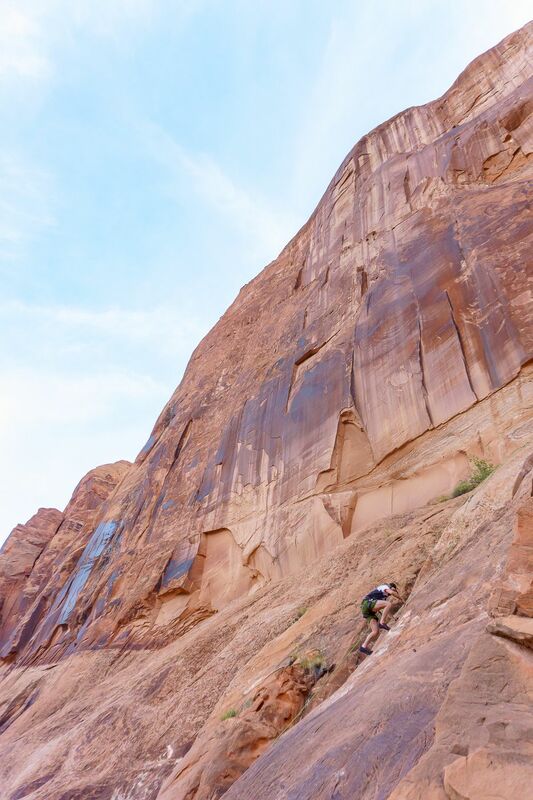 After finishing his last climb, Jason makes his way down Potash Road, taking in the juxtaposing height of the aggressive canyon walls running the length of the glassy river. With few people around and a gorgeous sunset, we are beyond excited to bask in the warm evening air following an action-packed day of climbing. 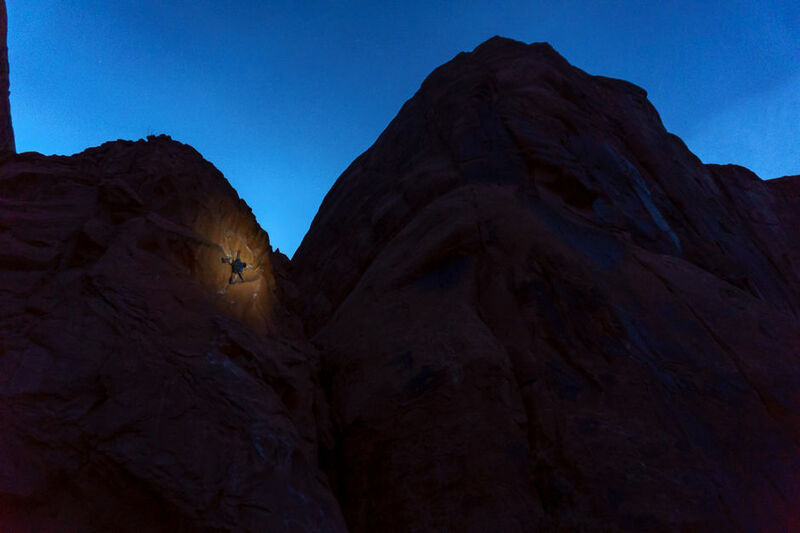 Not wanting our day to end, Joseph clambers up the wall as darkness begins to blanket us. After he finishes we head to town and pick up food to grill over our campfire, share a few swigs of whiskey over stories of triumphs and failures from the day, and burrow into sleeping bags to rest our worn bodies.